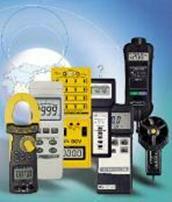 SUPERCON® | Test and Measurement Instruments C.C. SUPERCON® Electrical Connectors for Superior Quality Gold Plated Positive Contacts in the Manufacturing Industry for 25A, 50A., 100A and 250A Capacities. SUPERCON® Electrical Connectors incorporate many advanced engineering features designed to provide safe, rapid and positive panelboard connections. 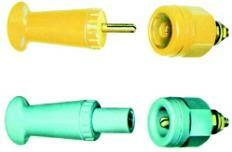 Single conductor socket and pin type plugs and receptacles are offered in 25, 50, 100 and 250 Amp capacities. The 25, 50 and 100 Amp types are rated 125-250 VAC or DC current interrupting, 600 V unenergized connect or disconnect use only; 250 Amp types are rated 600 V unenergized connect or disconnect use only. The 25, 50 and 100 Amp types are CSA certified under file No. LR-17812. PLUGS - Plugs have a unique functionally designed grip for handling ease and convenience. The variety of red, white, blue, yellow, black or green colors permits wider latitude in patchboard distribution layouts. Wiring connection to the same plug can be either soldered or solderless. 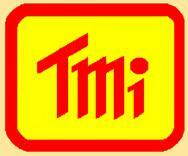 Cable fastening screws are provided which permit a range of cable sizes to be accommodated by the plug. 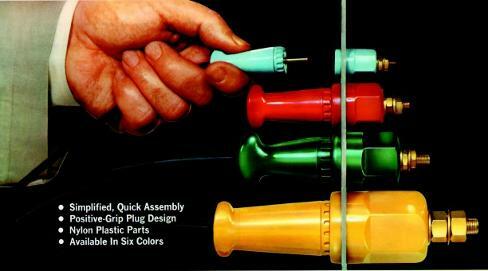 All plug grips are of a simple, two-piece threaded construction for quick assembly. 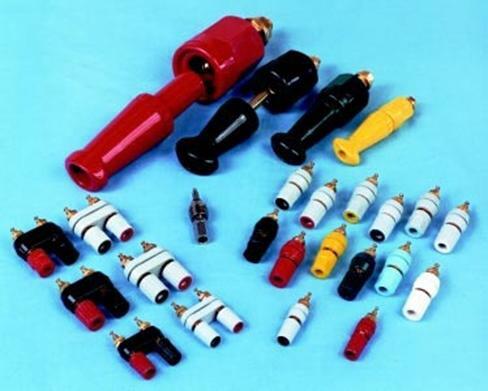 RECEPTACLES - Receptacles have color-matched nylon caps and bodies. All plastic parts of a receptacle are molded through in the same color to permit more rapid and accurate circuit identification on both the front and back of the panel when installed. Wiring connections are made to a threaded stud by wire wraparound, by lug or bus bar connection. 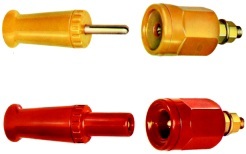 Electrical Connectors provide safe, rapid and positive panelboard connections for 25A 50A, 100A and 250A Capacities in Red, White, Blue, Yellow, Black, & Green.